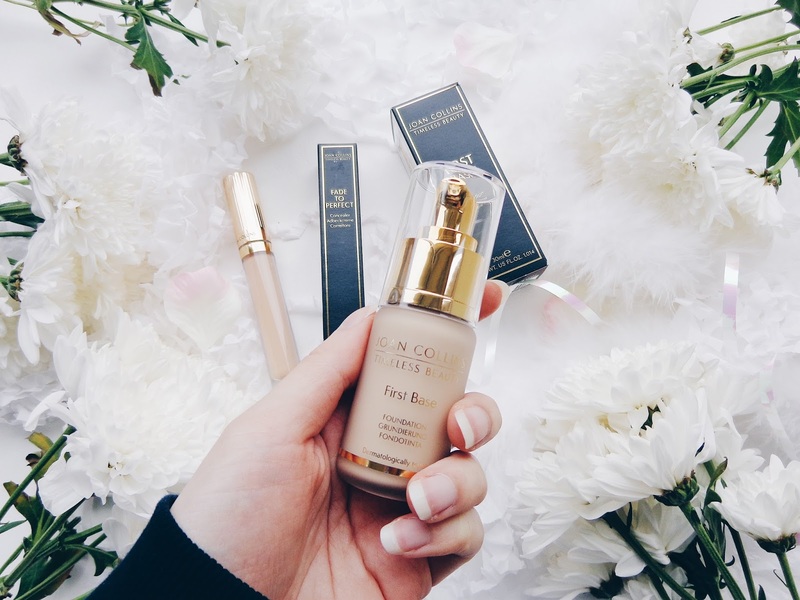 Today's post is on a brand which I really love, Joan Collins Timeless Beauty. 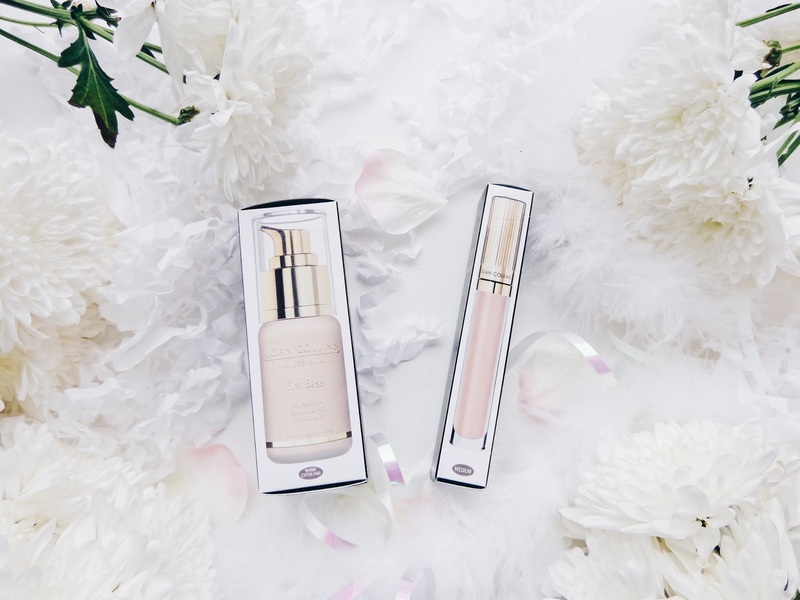 You may have previously seen the beauty and skincare reviews which I have written for them before on my blog, and if you have you will know how fabulous their products really are. If you haven't yet read those, you can check out my Joan Collins bath and body products post here, which is about the dry oil scrub, body lotion and scented body oil (all smell a-mazing! ), my Classic 2018 Make-up Essentials post and last but not least my post on Ultimate Body Rejuvenation featuring their Himalayan bath salts. It's fair to say I truly feel like the spa has come to me when I dip into these lovely bath and body care products! #PlushLife! Today I am going to tell you about their make-up staples. I am of course talking about foundation and concealer. I don't now about you but for me personally, foundation and concealer is a really important step in my make-up routine, actually probably the most important. 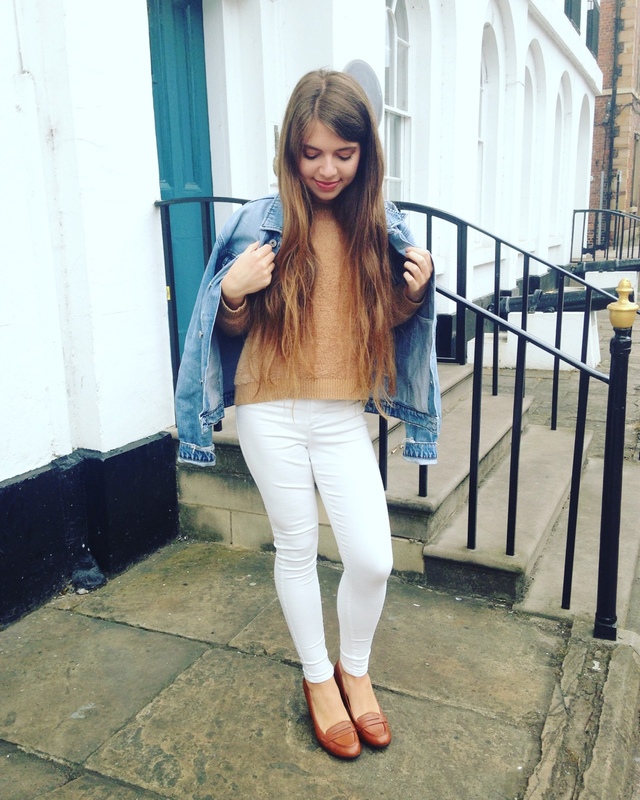 It's like the foundation base which I use really sets the 'tone' of the make-up look and it has to be on point. A good base layer is the perfect canvas for all those added extras like fancy eye make-up and a bold lip. So for me, foundation is super important and has to be right in formulation and the shade has to be a great match! 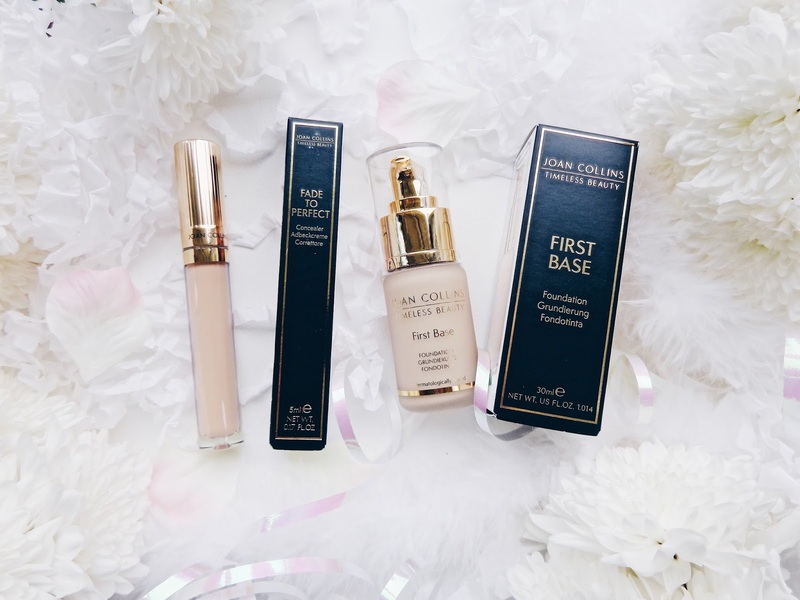 The Joan Collins Timeless Beauty foundation is a skincare dream. Firstly, it is dermatologically tested which means it is kind to skin and is perfect for sensitive skin too. It is also breathable and pore-friendly, so shouldn't block your pores like some foundations can. 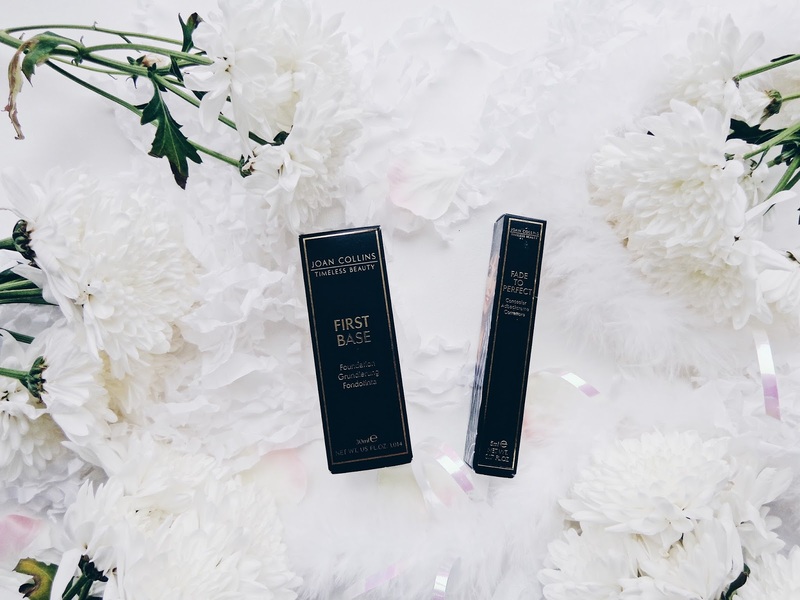 'First Base' is essentially a skincare in a foundation, which is a win win formula in my book! It creates a smooth and flawless complexion, with a radiant, natural finish, so it is perfect for use over the summer months and ideal for taking on holiday when you want to have beautiful skin but without feeling weighed down by your make-up; this foundation is light on the skin yet still has excellent adhesion and staying power. It is also a buildable coverage, so you can have a more full coverage look if you want to one day, or a more sheer and dewy look another day when you're embracing a 'no make-up' make-up look! Either way it leaves skin feeling soft and comfortable. It also has Re-Age Complex built into it which charges the skin with youthful energy, to help increase collagen levels. It includes Hyaluronic Acid and is Paraben free too. What more could you want from your foundation?! 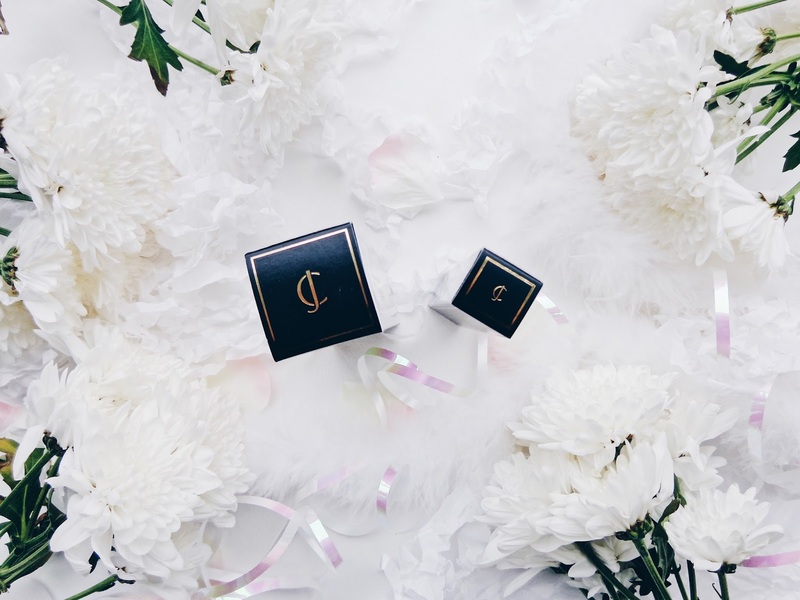 I love the packaging and just how glamorous and truly stylishly sophisticated it looks. Very much dressing table worthy! The foundation comes in eight different shades for you to choose from, four warm-toned and four cool-toned, so there is one to compliment every skin tone and shade. I selected the shade Warm Extra Fair, as my skin tone is pale but I tan and have a warm complexion. If you're pale and don't really tan, then Cool Extra Fair which has more of a pink undertone is more suitable. The 'Fade To Perfect' liquid concealer again is a staple which is perfect for either hiding any imperfections or illuminating key areas like under you eyes, edges of the nose or central point of the chin. I've been trying out the Medium shade as my colour which is Fair was out of stock, that's how popular it is, so I'm looking forward to trying out the lighter shade when it's available again, as the formulation of the Medium colour which is a perfect colour for those who are using the Medium toned foundations or have a subtle golden glow, is literally amazing. It's smooth, non-cakey, skin illuminating as well as calming to reduce redness or inflammation if you have any. It claims to create a 'magical soft focus' and let me tell you that it really does! It also has plant extracts in it which I think is really special for a make-up product, as like the foundation, it is caring for your skin at the same time as being a make-up product. 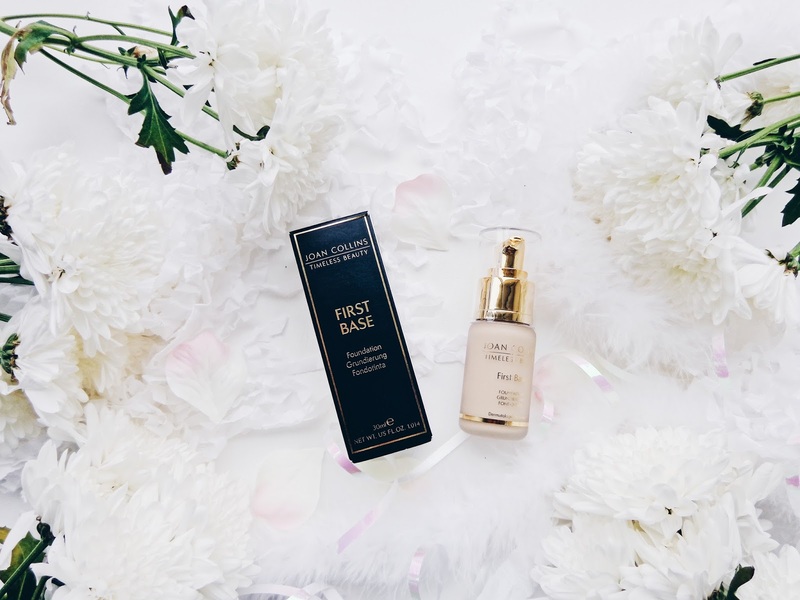 With extracts of Butcher's Broom, Marigold, Horse Chestnut, Liquorice and Asiatic Pennywort as well as those all important light reflecting particles, it's a high end concealer which does what it promises. 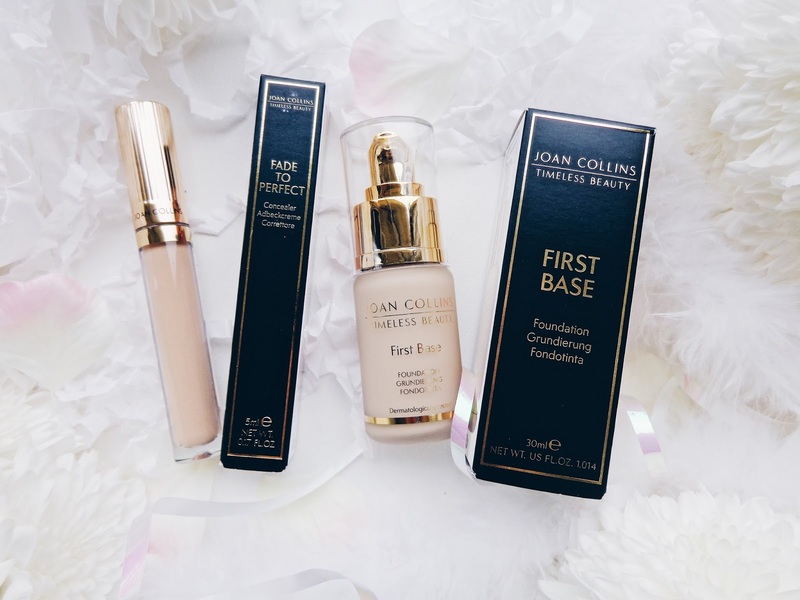 This post contains PR samples from Joan Collins Timeless Beauty. All views remain honest and my own.